TraderSimon.com | Is Your Broker Hunting Your Stoploss? This small sentence is enough to strike fear into the hearts of the retail trader. 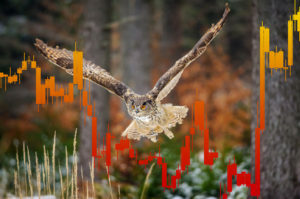 No sooner have you placed a trade, than the market makes a beeline for your stoploss like an eagle hunting its prey. And after it does this a few hundred times and then goes to your target, you wonder if your broker has secretly installed cameras in your trading room. Yet… the reasons for who (or what) are responsible for stopping you out of a trade are widely misunderstood. So in this article we’re going to dispel a few myths and confirm a few home truths too! Forget the Instagram traders with their lifestyle pics of Lamborghinis and champagne pool parties. Their 90%+++ win rate is a marketing gimmick designed to fool you into thinking this business is easy money. And with that delusion, comes the notion that you should always be winning trades and hardly have any losses. The truth is that losses are a cost of doing business in the financial markets. Losses are normal. The sooner you accept this, the easier trading will become and the less often you will succumb to the emotional pitfalls of traders who think it’s necessary to win every time. The market is all about liquidity. It is either building areas of stoplosses or seeking areas of stoplosses. One of the main reasons why your stoploss is hunted is because you place it at the same location as everyone else. It’s that simple! Stoplosses accumulate above swing highs and below swing lows. A succession of swing highs or lows is referred to by the trading textbooks as “support” or “resistance”. These become areas where stops accumulate and it’s only natural the market will “gun” these stops to obtain liquidity. It is the market as a whole that moves to these areas of stoplosses, not your broker. So, if the brokers can’t move the market, who are hunting your stoplosses? Well mainly, it’s the banks and central banks. We only have to look at recent cases in the news to confirm this is true. 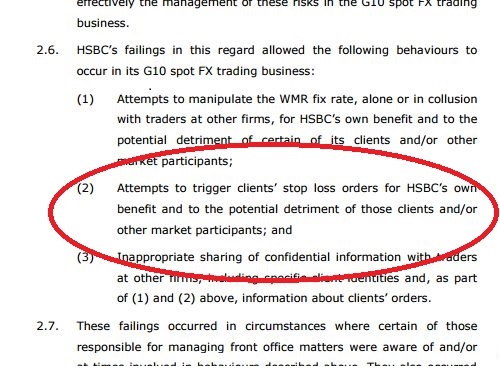 Take for example HSBC, who were fined £216m by the UK’s Financial Conduct Authority for attempting to trigger client’s stoplosses and colluding to fix forex rates (snippet from the FCA report below and link here). In fact all the major banks, such as Barclays, Deutsche Bank, JP Morgan and Goldman Sachs are involved with market manipulation. Ok, so I said it’s the banks and not your broker who move the market. And generally, that is true. However, if you are trading with a “market maker” broker, then they can temporarily spike the price to take out your stop. The reason being that they do not send your trade to the market, but instead they become counterparty to your trade. 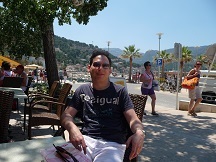 What you are trading is not the real market but a “virtual” market created by your broker. The less scrupulous your market maker broker is, the more chance of them spiking the price up or down to take out your stoploss. And of course, this bears no resemblance to the real world market as what is occurring on their price feed will not appear on any other broker’s chart. Brokers often play these tricks during volatile news events where they will spike the price further than the real market, or overnight where they will introduce erroneous spikes into their price feed. Of course, they often “clean up” their feed afterwards to remove any evidence that the dirty deed occurred. However, don’t think that going to a real broker will be the answer to all your problems! 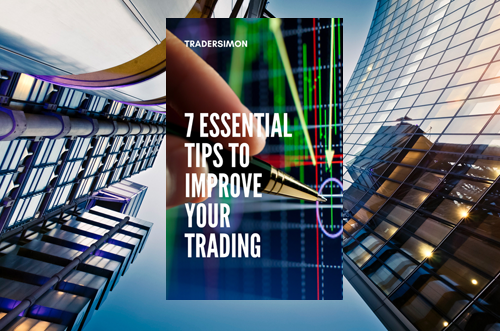 With a real broker, you are looking for your orders to be filled by the real market and during volatile times if there is no counterparty to take the other side of your order, you will get slippage on your stoploss or entry. So now we know the pitfalls, what can we do to avoid them? Accept losses as a part of doing business. Don’t get frustrated or revenge trade. Don’t get negatively influenced by traders who only publicise wins and never losses. Keep a cool head and let your edge play out over time. Don’t be a target for stophunts by placing your stoploss with the majority of other market participants at support or resistance levels, swing highs or lows. Trade a strategy that capitalises on the market’s natural propensity for hunting stops. 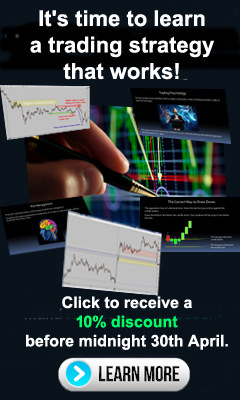 Understand the patterns that occur regularly to trap traders and make them part of the liquidity pool. 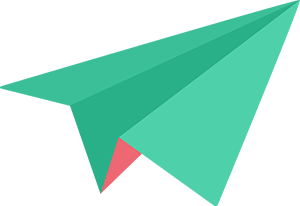 Clue – it’s on this website and in my course! Use a reputable broker. If they are acting more like a turf accountant than a broker, then change them! Keep Risk Management in check at all times. Close out intraday trades by the end of the day and don’t hold them overnight. You should only be in higher timeframe trades overnight, which by their very nature have a wider stop. Nobody knows which events are going to occur over the weekend. Ideally, close out all trades before the weekend. Otherwise be prepared for the market to gap through your stoploss with potentially disastrous consequences. The only caveat is if your broker (usually spreadbet) offers guaranteed stops and a fixed downside to risk. 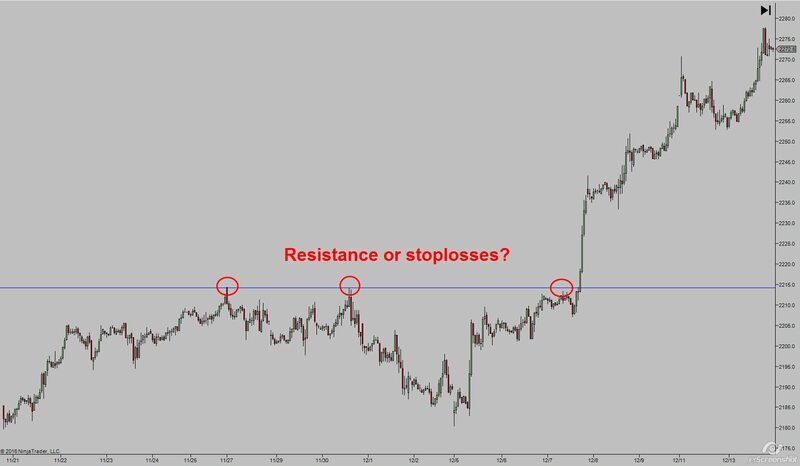 I hope this article has helped you understand the reasons how and why your stoploss is targeted and cleared up some myths along the way. Wishing you Seasons Greetings and a happy, healthy and prosperous New Year in 2017.